Israeli Air Force jets conducted airstrikes on Hamas targets in Gaza Strip early Thursday after shots were fired at Israeli homes from the Palestinian area. The Israeli military said it hit four Hamas targets inside a military compound, including buildings and infrastructure. Three additional targets were hit inside a weapons production facility. The attack was retaliation for machine gun fire that caused property damage in the Israeli town of Sderot, Israel Defense Forces said. "The IDF considers this incident with severity and holds the terrorist organization Hamas responsible for everything that takes place within and without the Gaza Strip," the military said in a statement. Wednesday, the IDF struck several Hamas outposts in the Gaza Strip in response to shots fired at Israeli forces. 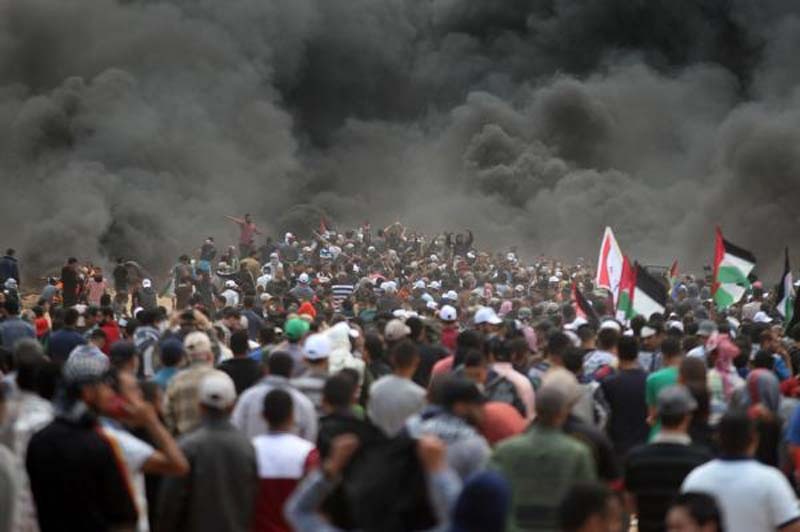 The attacks came just days after IDF forces killed more than 60 Palestinians during protests at the Gaza-Israeli border. The Israeli Army said it opened fire on 10,000 "violent protesters" and injured about 2,700. It was the deadliest day in Gaza since 2014. The clashes coincided with the controversial U.S. opening of its embassy in Jerusalem. Countries including Russia, Turkey, Kuwait and Britain have all spoken out against the killings.